Updated: Jan. 7, 2019, 11:27 a.m.
After a months-long public outcry, the Candler County Sheriff’s Office charged an Ailey woman with felony animal cruelty after finding over 200 German Shepherd dogs in reportedly deplorable conditions. 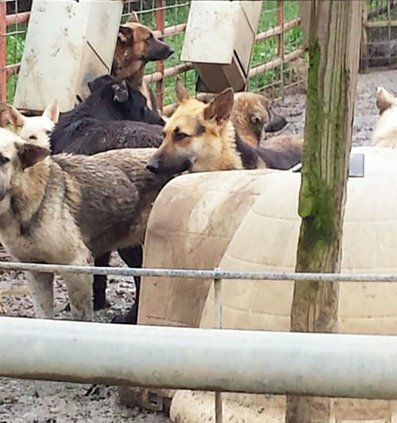 Angela Felinda Powell, 51, of Marlon Drive in Ailey, has been under fire by animal advocate groups for some time now, mainly in Higgston (Montgomery County), where she allegedly has over 400 German Shepherds kept in crowded, muddy cages, said Bonita Fisher, a Candler County resident affiliated with Pathfinders Animal Advocates. But when Powell began moving some of the adult dogs to a location on Donnell Road in Candler County, neighbors began to complain. Incessant barking, dogs heard fighting and yelping as if they were in pain, and overcrowded conditions seen by neighbors using binoculars led several residents to protest, but local authorities as well as state inspectors at first found no violations requiring action, she said. Candler County Sheriff John Miles, unavailable for comment Thursday, told the Statesboro Herald in December that his department was keeping an eye on the situation and maintaining contact with protesters and other authorities regarding the dogs. But Fisher said it was community perseverance that finally led to Powell’s arrest. 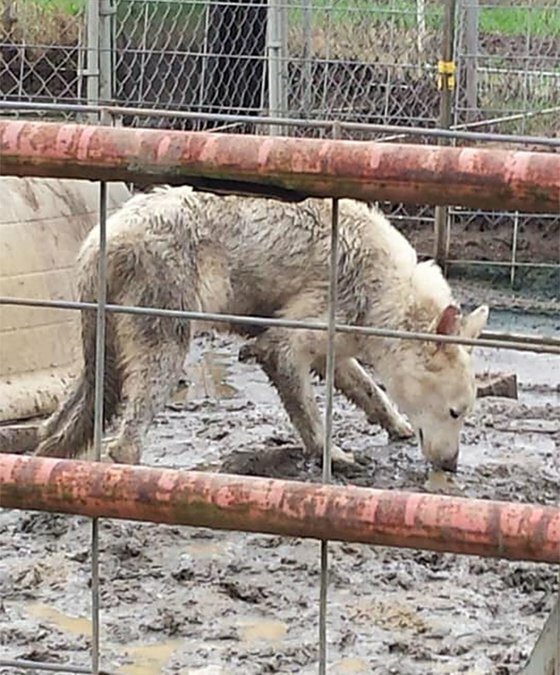 She said efforts to save the dogs have been going on for three months, and when someone actually went onto the property and captured photos as proof of neglect and cruelty, apparently law enforcement had the evidence needed to make an arrest. The photos and videos showed a dead dog being eaten by others, as well as large numbers of dogs kept in crowded, muddy pens. Powell was arrested Wednesday and remains in the Candler County Jail, according to Candler County sheriff’s reports. Powell was allegedly a breeder, but photos show adult dogs crowded into large livestock-type fenced areas, muddy and untidy. Fisher said the photos don’t show the worst of it. It is “sort of hard to ignore pictures and videos of dogs eating each other and the horrible conditions. It was worse in Candler County than in Montgomery County,” she said. Again, neither Miles nor Capt. Justin Wells were available for comment Thursday, both out in the field all day with this and another demanding case. Fisher said she and several other animal advocates spent the day at the scene, helping sort out the issue and finding placement for the dogs. “We have begun removing the sick ones out (first),” she said. “Guardians of Rescue are on site,” as well as the Humane Society of the United States and other rescue organizations. Information regarding the seizure of dogs in both Montgomery and Candler counties was not available Thursday.